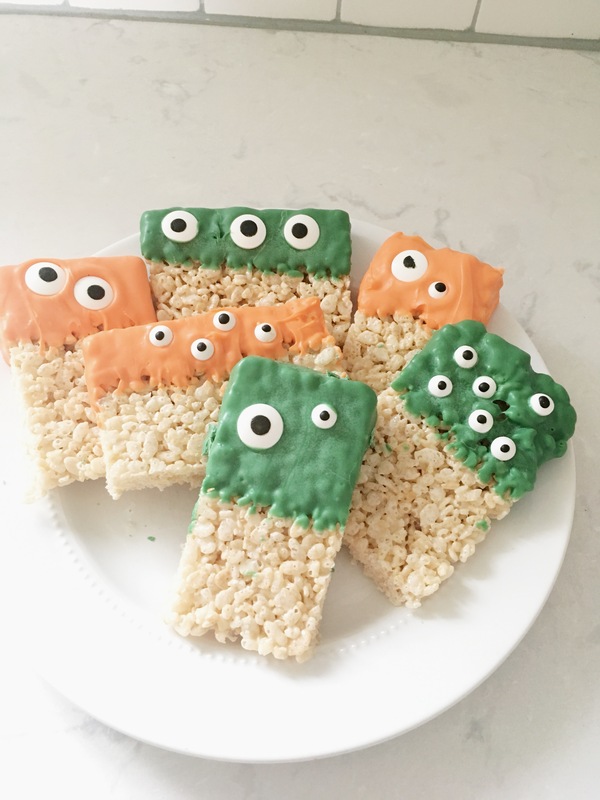 When I saw these darling Monster Rice Krispie Treats over at One Little Project at a Time I immediately fell in love with how cute and simple they were to make! 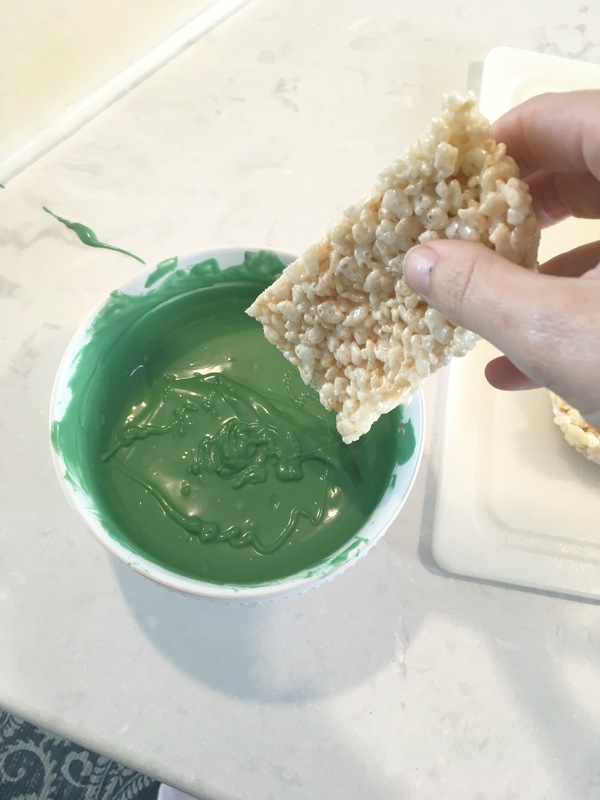 I decided they would be the PERFECT item for the Bake Sale at my kids Halloween Carnival. 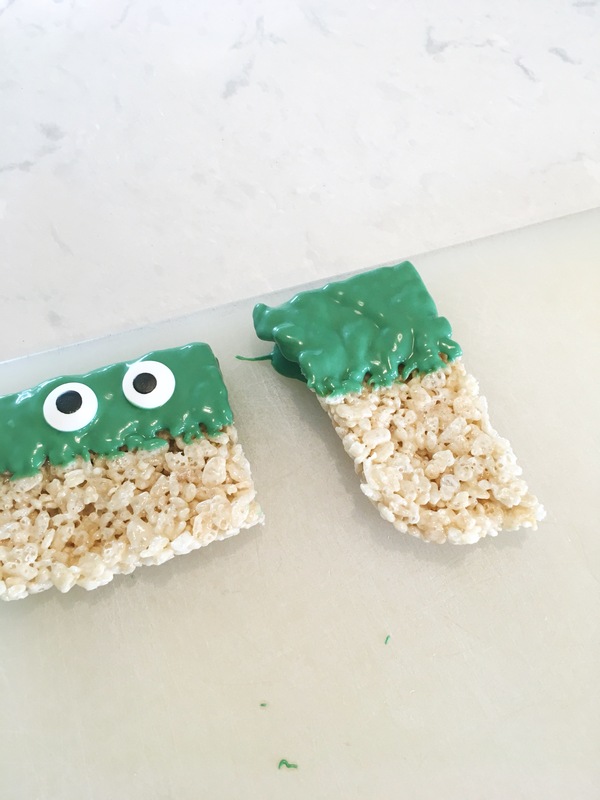 Happily, these Rice Krispie Monsters turned out just as darling and easy as I had imagined. 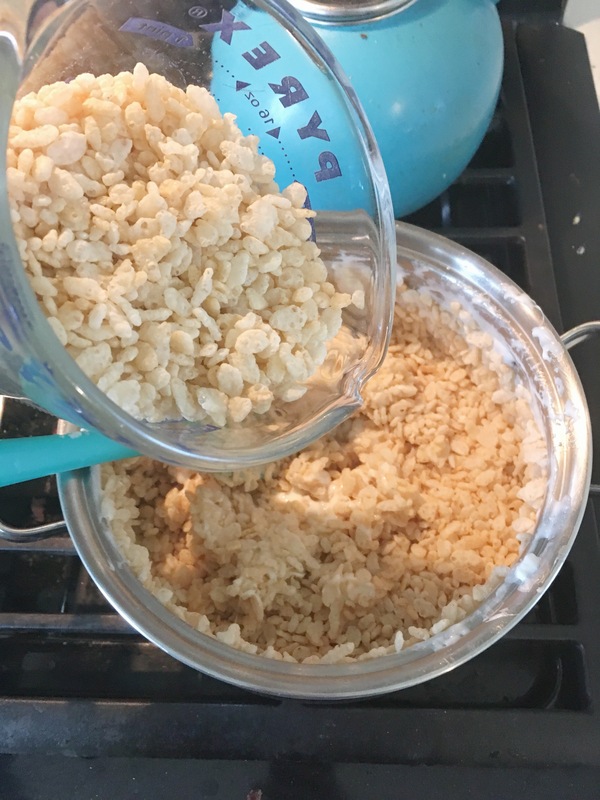 First, make your rice krispie treats according to the package directions. 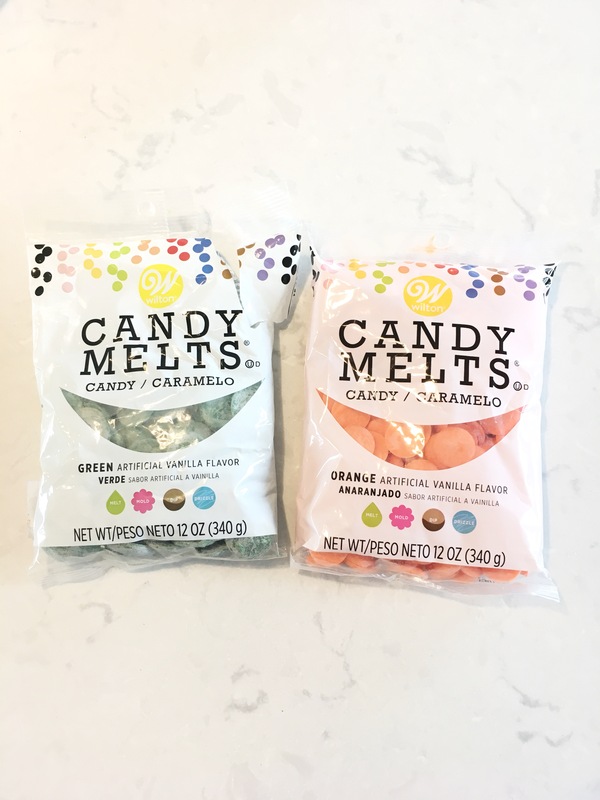 I found these candy melts from Walmart. You can order them off of Amazon, but they were cheaper at Walmart. 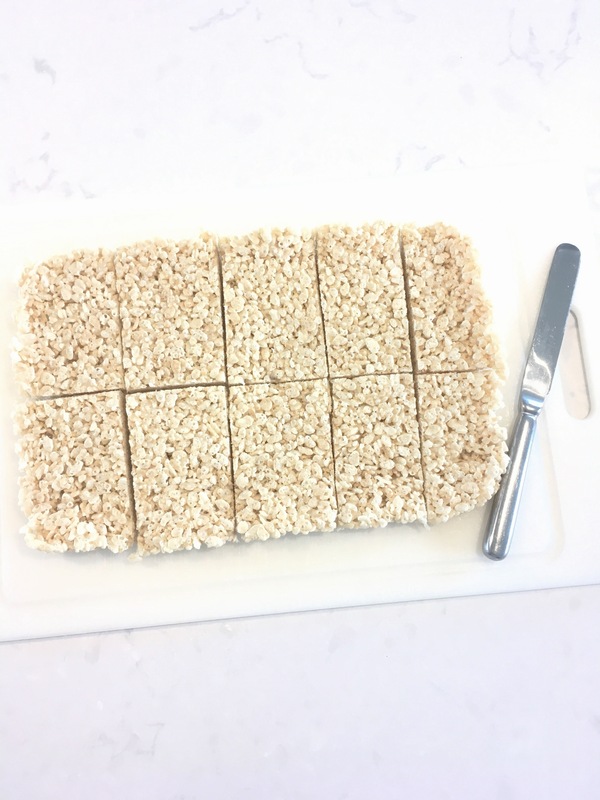 They were easy to melt and only took about 3 minutes, and no stress! 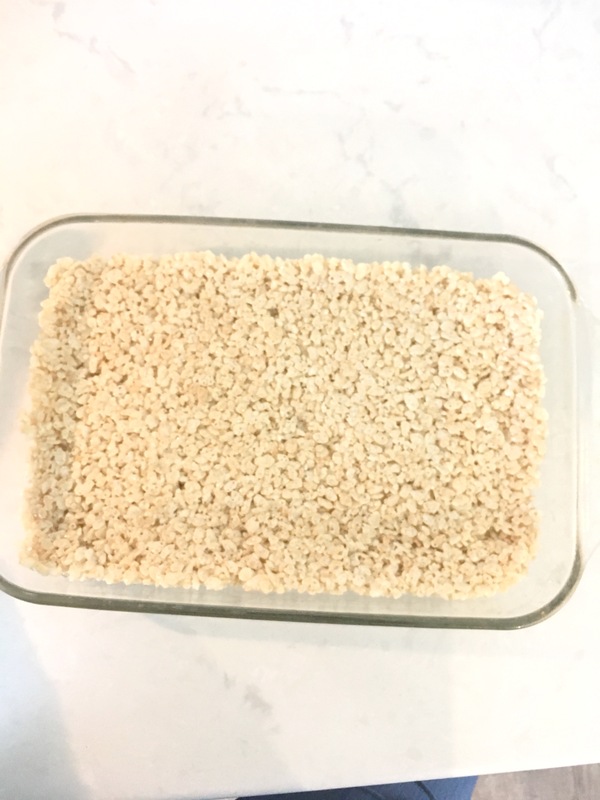 Now, you dip your rice krispie rectangles into the chocolate. You will want to be slightly quick with this. As the chocolate cools it will be harder to dip. 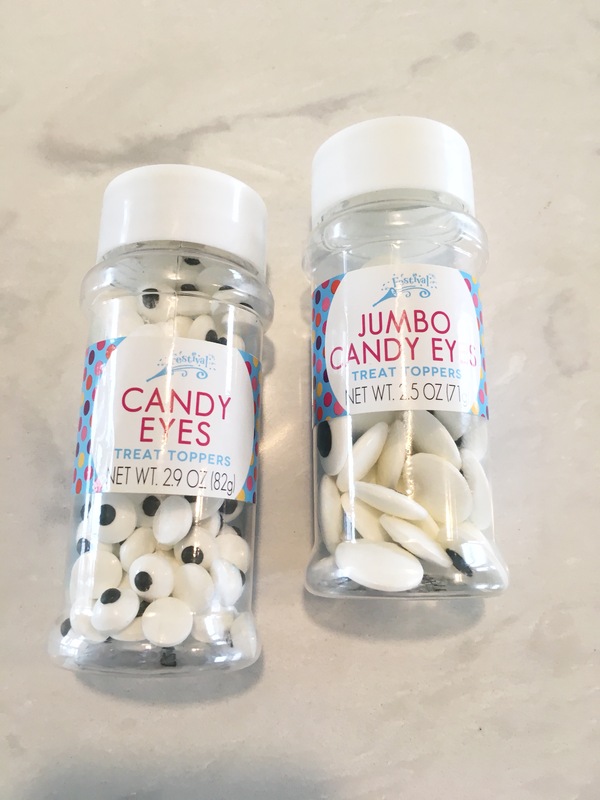 All that’s left is to add on the candy eyes. I also bought these at Walmart, but they are available on Amazon as well. 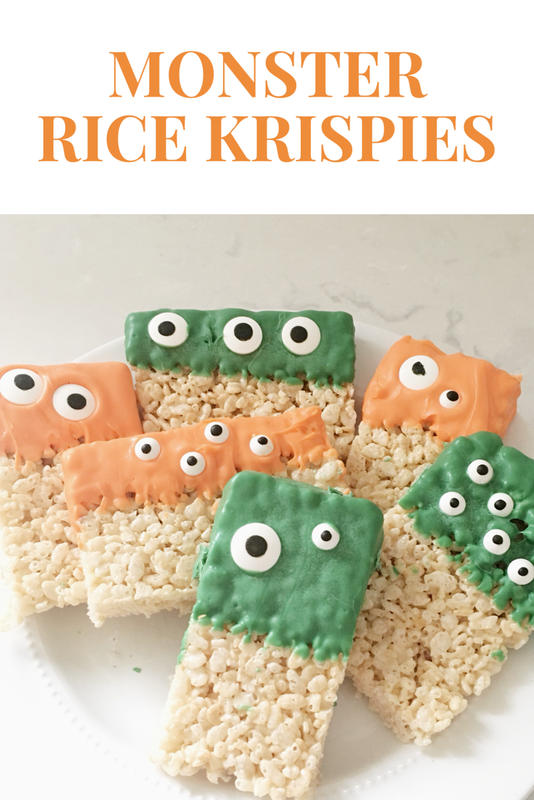 It was so fun adding the eyes and making the fun monster faces. 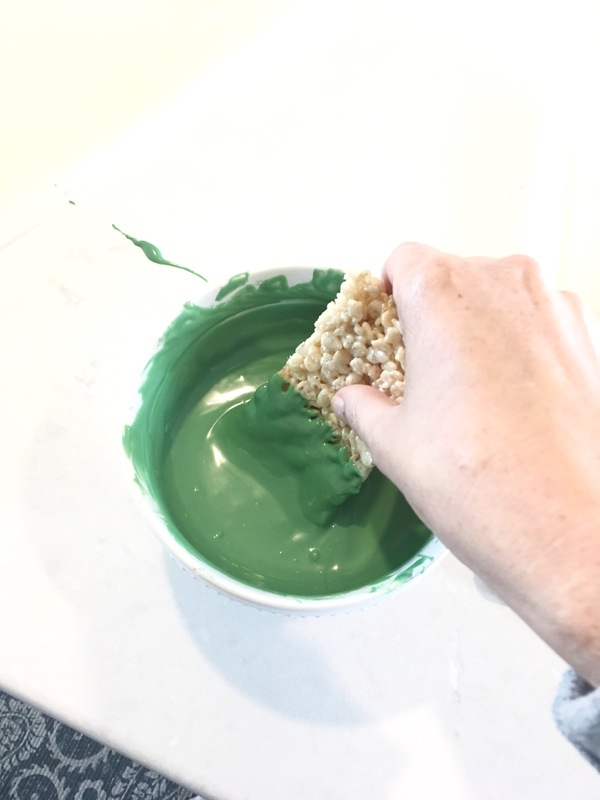 My kids loved helping with this part, and actually had some good ideas!